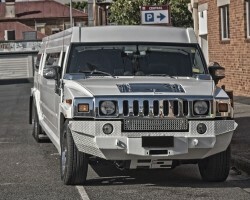 You could arrive at your wedding in your everyday car or you could arrive in something special from Greensboro VIP Limo. This company has a perfectly maintained fleet from which you can choose a limousine, stretch limo or a town car to make your wedding day transportation easy and luxurious. A professional chauffeur will be there on time to make sure you will arrive at your venue on time and in style. You can even make special request for snacks and drinks to make the ride even more memorable. 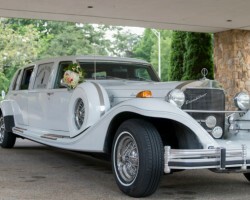 There is nothing more classic than hiring a Greensboro limo service for your wedding day transportation. Not only will you be able to ride with your entire bridal party but you will also be able to relax as a professional takes care of the directions and the driving. Since this business was established in 2003, the service has been offering some of the most affordable rates in North Carolina. Combine these cheap prices with excellent customer service and a sleek fleet of vehicles and you have a winning combination. If you are a fan of luxury, renting a limousine from Miss Limousine is the best way to make sure you arrive and leave your wedding in style. As a limo service in Greensboro, this company offers a beautiful fleet that can be used as wedding, special occasion or prom limos. You will certainly make an entrance and will enjoy the ride when you hire one of these cars for your big day. The chauffeur will take care of the driving while you enjoy the luxury and excitement of the day. D&D Airport Taxi offers luxurious town car and limousine transportation services for when you would like to get to the airport in style. This is perfect for when a couple need to make a getaway to their honeymoon without having to worry about driving or leaving a car behind. This is one of the few limo companies that are solely focused on airport transportation in the area. This means that they know all of the fastest routes to get you there on time and in total comfort. There are the limousines of today and then there are the classic limousines that were popular in the 20s. 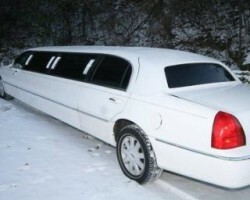 Roaring 20s Limos offers some of the most beautiful classic limo rentals in Greensboro, NC. For wedding transportation before and after the ceremony you will not find a vehicle that is better-maintained or more luxurious than one of the limos from this company. 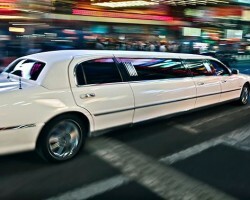 The best part is that you can also incorporate these limos into your photos for a vintage look.